The vineyards are planted on the floor of what was, many millions of years ago, a great inland lake. Evidence of this lake can be seen in the massive water washed boulders. As the rainfall declined the lake dried up leaving a deposit of calcareous silt many meters thick. The drying of the soil and the effect of the elements cured the top layer of this calcareous silt into rock hard calcium carbonate. At first it was thought that these soils were only suitable for pastures as the roots of orchards and vineyards could not penetrate the calcium carbonate. The era of the big machine, which could rip through the hard calcium carbonate to a depth of 1.5 meters to access the calcareous silt underneath, changed this perception. Vineyards now flourish and produce wonderful wine where there once was arid veldt. A near perfect viticultural terroir has been created where man can manipulate conditions as he sees fit. Four clones have been used, CS46, CS163, CS18A and CS15. CS46 – South African selection that is still considered one of the best clones, has less outspoken fruit but gives wines very good structure. Ages very well in wood and gives a nut or herb character. CS163 – Originally imported from Holland as clone 205, has very specific and outspoken fruit charactaristics (berries), good blending components, earlier fruit ripening and higher production. CS18 – South African selection grafted from Neitvoorbij, has average production levels and also gives good blending components. CS15 – French selection that is mostly planted in France. It has slightly less flavours and aging potential, but has higher productions and blends well with other clones. Two rootstocks are used, 101-14 and Richter 110. Some of the older vines were planted with 101-14, but it has become apparent that our soils are more suited to Richter 110. The problem with 101-14 is that it has a shallow root structure and is more prone to suffer from water stress at the critical ripening periods. Conversely, Richter 110 has a stronger root structure which enables us to better control deficit water management in the period before veraison. Cabernet Sauvignon is picked mid March to first week of April. Once crushed the wine is pumped into fermentation tanks. Tailored pump overs are done twice daily during fermentation to obtain delicate fruit tannins and maximize flavours and colour extraction. Wine and skins then pumped into an airbag press with a central inflatable membrane. The entire outer cylinder of the press has drainage holes to speed up the process of pressing and increases the amount of juice extracted. Following the gentle pressing, the wine underwent malolactic fermentation in tanks. Wine is then put on French Oak for about 5-10 months to add softness and complexity to the wine. Succulent flavours of ripe plum and blackcurrant, enhanced by hints of coffee and chocolate. Soft tannins lend a firm structure and a long soft finish. One clone is used, MO192 – Older Italian selection that has bigger berries and shoulders. It has red berries and grassy characteristics and tends to have bigger productions. Good clone for fruit characters and blends well. Merlot is picked between 7 March and 21 March. Once crushed the wine is pumped into fermentation tanks. Tailored pump overs are done twice daily during fermentation to obtain delicate fruit tannins and maximize flavours and colour extraction. Wine and skins then pumped into an airbag press with a central inflatable membrane. The entire outer cylinder of the press has drainage holes to speed up the process of pressing and increases the amount of juice extracted. Following the gentle pressing, the wine underwent malolactic fermentation in tanks. Wine is then put on French Oak for about 5-10 months to add softness and complexity to the wine. Inviting aromas redolent of mocha & chocolate with elegant flavours of prunes, bananas & blueberries finishing with spicy undertones on the palate. Brimming with abundant blackcurrant aromas, this full-bodied wine is a mouthful of juicy plum and black cherry flavours. Delightfully versatile with inviting aromas of vanilla and mocha finishing with soft spicy tannins. The best quality tanks of Cabernet Sauvignon, Shiraz and Merlot are selected and put into French and American oak barrels. The wine is left in the barrels for up to 12 months to add softness and complexity to the wine. Thereafter the Cabernet Sauvignon, Shiraz and Merlot are blended together. There may even be up to 4% Viognier blended into the red blend to add extra body and spice but at the same time also softening the tannins giving a soft, smooth and fruit driven finish. enhanced by hints of mocha. Soft tannins lend a firm structure and long soft finish. Deep burgundy red in colour with inviting aromas of vanilla, ripe plum and black cherries, enhanced by hints of mocha. Soft tannins lend a firm structure and long soft finish. The rootstock used is Richter 119. Chardonnay is picked end of January and in the very early morning (at first light) by hand so as to keep the berries whole and thus reducing the chances of oxidation on route to the winery. Once crushed the wine is cooled though mash cooler and then pumped into an airbag press with a central inflatable membrane. The entire outer cylinder of the press has drainage holes to speed up the process of pressing, increase the amount of juice extracted and reduce oxidation. Once pressed the juice is again put through a plate cooler. Yellow, lime green colour. Guava with hints of fresh straw on nose. Rich, racy and full on middle palate with great finish. Yellow green in colour. Complex green grassy nose with passion fruit, guava and pear aromas. Gooseberry, capsicum and tropical flavours on a full, rich palate with a long sweet-fruited finish. Two clones have been used, SB11 and SB215. SB11 – a South African selection known as the Weather-Station clone, is grafted from Nietvoorbij Estate. It is a very popular clone and mostly planted in South Africa, especially in Robertson, as it gives strong tropical characteristics. It is definitely better that the older clones used in Robertson. It is, however, slightly more susceptible to rot due to bunches being more compact. SB215 – This is also a South African selection that is grafted from SFW (Stellenbosch Farmers Winery). Production is medium to high with a looser bunch structure which makes it less susceptible to rot. This gives a fruity characteristic with a wide spectrum of flavours, from tropical to more green grassy flavours. These wines are generally less full than the wines from SB11 clones. Sauvignon Blanc is picked in two components, 15% Green (mid to end January at about 18° balling) and 85% Fully Ripe (early to mid February at about 24% balling). All the Sauvignon Blanc is picked in the very early morning (at first light) by hand so as to keep the berries whole and thus reducing the chances of oxidation on route to the winery. Once crushed the wine is cooled though mash cooler and then pumped into an airbag press with a central inflatable membrane. The entire outer cylinder of the press has drainage holes to speed up the process of pressing, increase the amount of juice extracted and reduce oxidation. Once pressed the juice is again put though a plate cooler. The Green portion of the Sauvignon Blanc gives cut grass and green pepper flavours with good acid. The Fully Ripe portion has tropical flavours. After the juice has fermented dry, the Green and the Fully Ripe portions are blended together to give a more complex structure to the wine. palate. Full bodied elegance makes this a wine of substance. Viognier is picked mid February and in the very early morning (at first light) by hand so as to keep the berries whole and thus reducing the chances of oxidation on route to the winery. Cherry pink colour with delicious mouth filling flavours of peaches, melons & mangoes. Gentle, fruity tannins give a dry finish. The nose is fresh and clean with hints of ripe lemon and lime. The bubbles enhance the aroma. The palate fulfils the promise of the bouquet coupled with a pleasant and elegant fruitiness which completes the complexity and enjoyment of this bubbly wine. 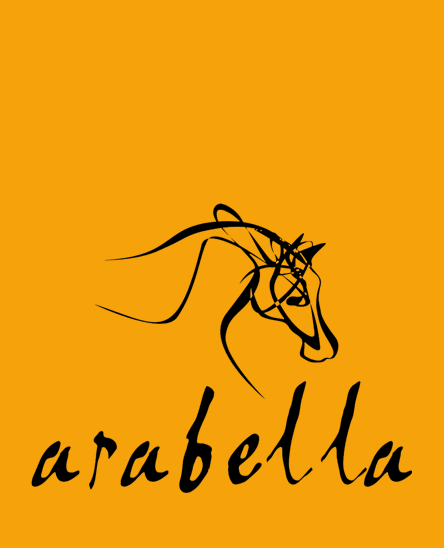 At Arabella we have a very simple objective: we endeavour to make the best wine possible. Achieving this goal is our passion.